Log in to Blossom, and open the project's settings that you want to integrate with your team inbox. The settings can be found by clicking the gear icon at the top right of the project page. 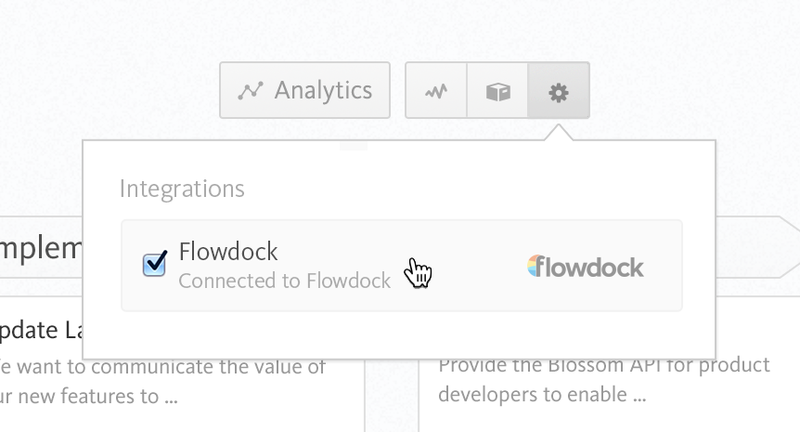 Open the Flowdock integration settings and add the desired flow's API token (from below) to the API token field. 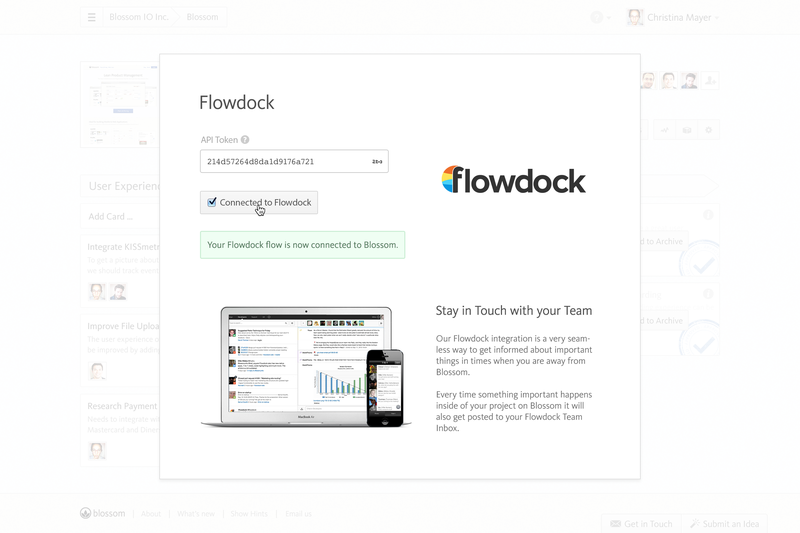 Click on the Connect to Flowdock button. You should now receive messages in your team inbox whenever there's activity in Blossom.